19 skill-building drills for throwing, catching, running, kicking, blocking and tackling. Organized into 5 step by step practice plans. 19 fundamental drills for defensive skills - agility, pass rush, coverage, pursuit and tackling. Organized into 5 defense-themed practice plans. 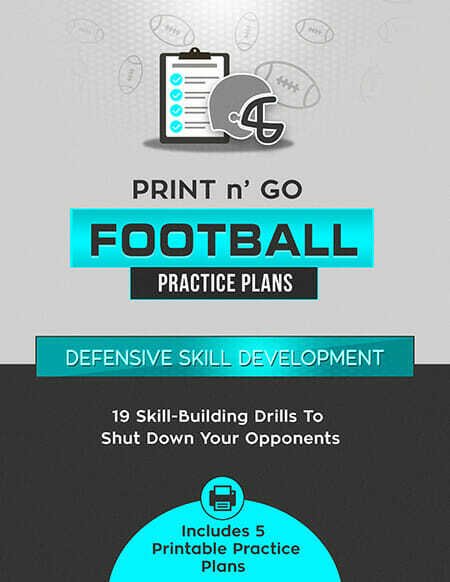 19 proven drills for passing fundamentals - agility, footwork, passing mechanics, route-running, reading coverages. Organized into 5 passing-themed practice plans. 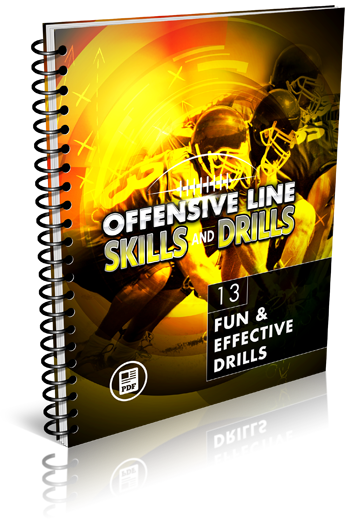 Discover 21 game-tested offensive and defensive drills, for a powerhouse youth football team. 30 basic tackling drills for kids age 6-12. 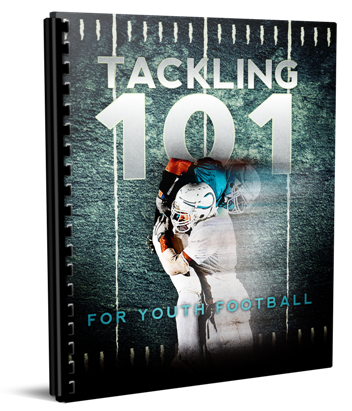 Learn the fundamentals of safe and effective tackling, using easy, step by step drill progressions specifically designed for younger players. 24 fun and effective drills for agility, route-running, pass-catching, and game situations. 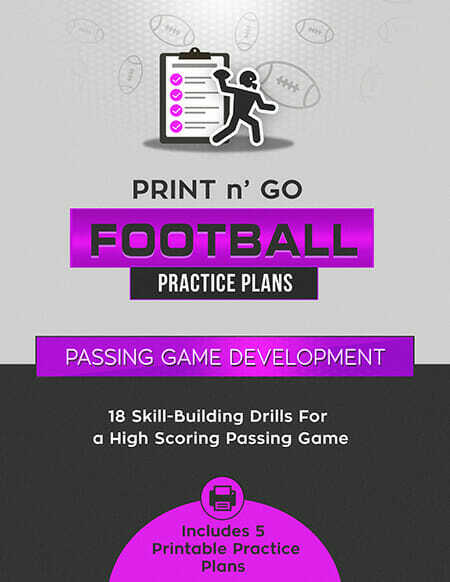 Rapidly improve your receivers' skills and develop an unstoppable passing game! 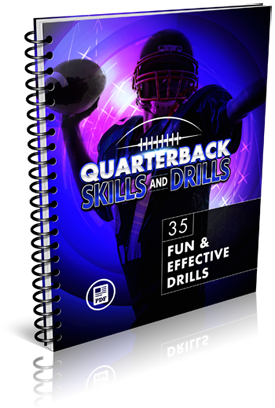 35 fun and effective drills to develop an all-star quarterback. Step by step practice drills and workouts for basic fundamentals, throwing mechanics, footwork, agility, and game situation. 13 essential drills for a dominant offensive line. Learn how to execute the drive block, reach block, down block, scoop block and more. 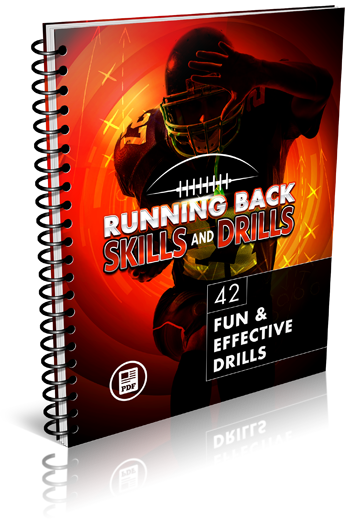 42 proven drills for developing essential running back skills. 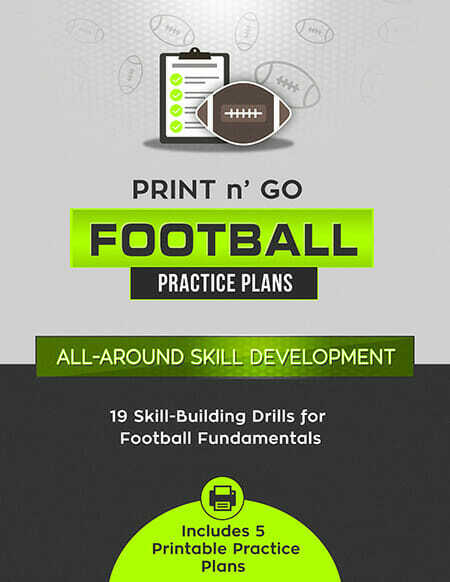 Fun and effective practice ideas for agility, ball security, handoffs, blocking, receiving and reading defenses. 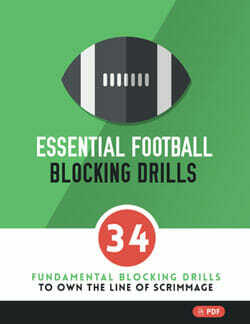 34 essential blocking drills to own the line of scrimmage. 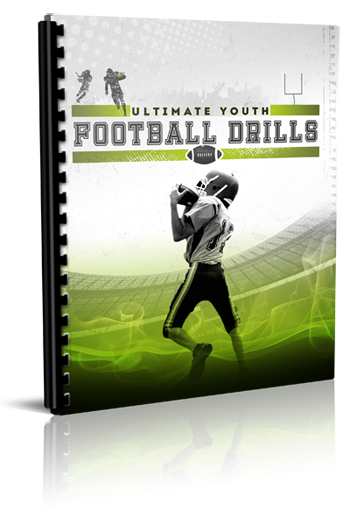 Pound the ball upfield, score more TD's and win more games with this step by step training system. 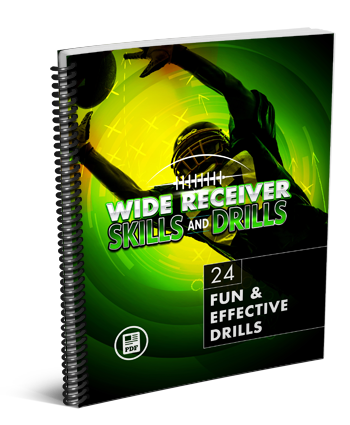 27 fun and effective drills to skyrocket your quarterback and receiver skills. Basic fundamentals, advanced techniques and tactical skills. 18 laser-targeted drills to help you develop a powerful ground game. Master the fundamentals of ball exchanges, ball security, breaking tackles, reading defenses, using blockers and more. 21 drills to train your kids to cut off ball-carriers with an effective pursuit angle and bring them down with a fundamentally sound tackle. 11 fundamental pass rush drills covering take-offs, footwork, defeating blockers, counter moves, blitzes and more.